Time and time again, we realize that forcing people to do good or to change their behavior does not lead to meaningful results. Human beings are stubborn and don’t want to change for various reasons. Most importantly, humans can be selfish and are not willing to alter themselves in any way unless there is a personal gain to be earned. On the other hand, incentivizing people to behave in a particular way by rewarding them with something they value consistently produces the intended result. Alignment of incentives is one of the most important phenomena that make up Bitcoin. 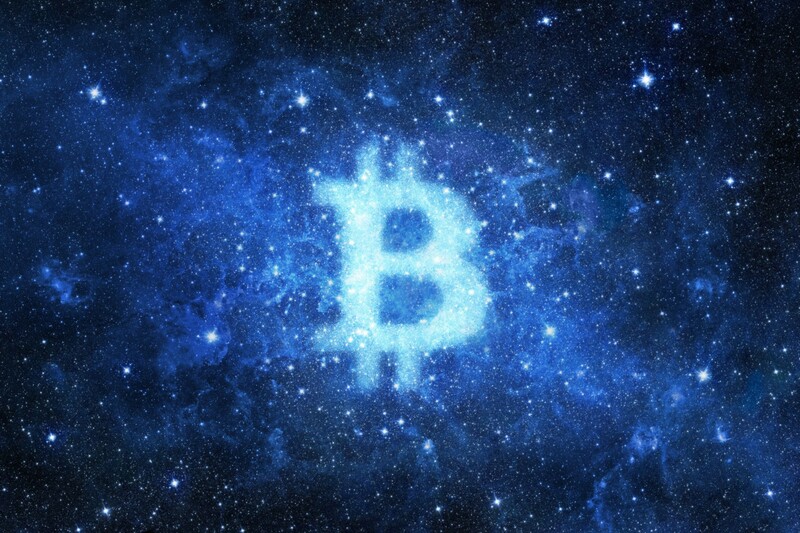 Apart from being a technological breakthrough, Bitcoin is a psychological and social phenomenon. Bitcoin takes human greed and turns it on its head. Bitcoin is fueled by human greed. Bitcoin uses human greed and the natural desire to better one’s financial standing to ensure the integrity of the system. Bitcoin is designed in a way that miners and holders are incentivized to behave in a way that is beneficial to Bitcoin. Any deviation from the optimal behavior on the part of the participants results in a reduction of possible profits. Bitcoin mining and the Proof of Work mechanism is perhaps the best representation of this. Bitcoin miners are incentivized to devote electricity to verify transactions and thus make the network secure and reliable. Their ability to perform this task is rewarded with miner reward (new bitcoins) and transaction fees. If, for example, a miner tried producing invalid blocks (blocks that break the consensus rules), full nodes would reject them and the miners would not be rewarded as a result. The full nodes are run by individuals as well as large processors (e.g. exchanges). These entities are incentivized to act optimally as their objective is a higher price per bitcoin (holders) and a functioning network to earn the fees (exchanges, custodians etc.) Many Bitcoin developers are employed by companies whose business models depend on Bitcoin continuing to grow. It is important to note that many of Bitcoin developers are, to a large extent, ideologically incentivized to contribute to Bitcoin. In his Bitcoin’s Incentive Scheme and the Rational Individual, Hugo Nguyen explores the relevance of philosophical alignment with regards to the cypherpunk ethos as an incentive for developers. Incentives that propel Bitcoin also exist outside of the Bitcoin community itself. Given the fact that Bitcoin is neutral money (not affiliated to any particular country), it can be argued that countries, institutions and various authorities worldwide are in the long run disincentivized from banning and restricting Bitcoin’s use and development. Given that Bitcoin is designed to exist and thrive in an adversarial environment, a particular country, say the United States, stands to lose by banning Bitcoin as developers, users and companies working and using Bitcoin (an industry at the forefront of technological and economic innovation) would relocate to a more accommodating jurisdiction. Given the tense relations and the international rivalry among the world’s superpowers (US, China etc.) it is practically impossible to imagine all such countries cooperating together to dismantle Bitcoin (e.g. a multi-nation coordinated attack against Bitcoin mining). The fact that the US dollar has been the world’s reserve currency for the last fifty years gives the United States an unfair advantage over other countries that depend on the US monetary policy. Many countries stand to gain from Bitcoin’s adoption as it would remove their dependence on the US dollar and provide them with a feasible alternative. It is likely that as some nations start to adopt Bitcoin as their reserve currency, the aforementioned value proposition will become increasingly clear. As already discussed, making people do good (or anything for that matter) by force does not work. Making people do something by incentivizing them, on the other hand, does usually work. Thus, alignment of incentives is an integral part of what makes Bitcoin work. Bitcoin is an incentive system that rewards individuals for benefiting the world as a whole. Anyone who spends enough time studying Bitcoin will realize that it will have a considerable net positive effect on our society. Its numerous positive externalities markedly outweigh any associated costs. In fact, it is becoming increasingly evident that most of the criticisms towards Bitcoin (“wasteful” mining, “unfair” distribution etc.) are a result of ignorance rather than any substantive data-backed research. Although the number of bitcoins is strictly limited, the global prosperity that Bitcoin brings about is the opposite of zero-sum. The average human is going to benefit from the adoption of Bitcoin even if they don’t necessarily own any bitcoins throughout the process of monetization and don’t directly profit from the increase in bitcoin’s price. It is likely that these people will live in a world where they will be paid in bitcoin. This means that their wealth will be unseizable, sound and able to move anywhere in the world in a trustless manner. All of us wish that the world was a better place and that people acted more compassionately. In theory, everyone usually wishes only the very best for the rest of the world, however, in practice, it doesn’t always play out this way. Human greed stands in the way of any decision, desired change or impact. We need to understand that, oftentimes, people forgo or give up on their moral beliefs and social responsibility in the face of personal financial difficulties. Most people are simply trying to get by and provide for their families. In the light of understanding this, it becomes more clear that expecting people to go out of their way to do something good is often counterintuitive and thus doesn’t create sustainable results. Humanitarian and philanthropic efforts don’t scale. They are often one time acts whose impact does not last. Similarly, redistribution schemes are too vulnerable. There are too many single points of failure which enable human greed to show itself and eventually cause the system to fail. The biggest impact comes from aligned incentives that reward individuals for creating positive change in the world. Such systems are scalable. They work because they don’t depend on finite sources of human compassion in the face of personal and financial difficulties. In fact, such systems work best because they are conducive to self-preservation. Nobody is good or bad, we are all human. We simply prioritize self-preservation over other things. It is thus not logical to blame someone for having an X amount of bitcoin, or having bought bitcoin at a cheaper price and now becoming wealthy. Anyone who bought bitcoin at a cheaper price was rewarded for the higher relative risk that they took on when Bitcoin was a lot less robust. The economic incentives in Bitcoin were and are necessary to bootstrap a system that can level the financial playing field for the entirety of the world. To enable this, individuals needed to be incentivized. You cannot expect people to change just by demanding them to be more compassionate. No matter how much you scream at someone telling them to donate their wealth or to give up their power, it won’t happen, definitely not on a large scale. The only way to enable change is to create incentives for people. Unfortunately, when people demand corporations to be more humane, pay higher wages, institutions to be more accommodating, you see little change. The PR team launches a campaign and minimum effort is done only to maintain the brand image. Such methods don’t create meaningful results as the incentives on an individual level are not aligned. They are one-sided. The individuals on one side stand to benefit while individuals on the other have to give up much of what they are already so used to. Bitcoin is fundamentally different. Bitcoin has created a unique incentive system which caters to and encourages parties on both sides. Adoption of Bitcoin has the ability to benefit all the people on the individual level, no matter where they are in the socio-economic hierarchy. The very corporations and institutions that stand to lose from the adoption of Bitcoin are made up of individuals who stand to benefit massively from the adoption of Bitcoin. Understanding that every entity, group or collective is made up of self-motivated individuals is key to understanding why Bitcoin will succeed. Don’t expect people to be good. Expect people to act in their own self-interest. If everybody acts in their self-interest in a system of rules that rewards good behavior, then good behavior emerges naturally. Special thanks to Hugo Nguyen for his feedback.